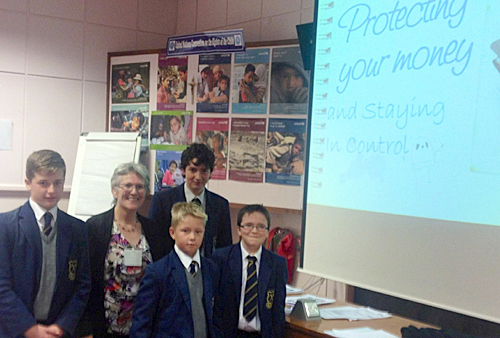 YEAR Nine pupils from De La Salle High School in Downpatrick participated in an event to raise awareness of financial issues within our current society called “Protecting your Money”. The event was organised through Credit Action with their Year Head Miss Carrigan. Included are Alison Campbell from Credit Action UK with Year 9 De La Salle pupils Jonathon Devlin, Matthew McKee, Patrick McKenna and Matthew Creighton.